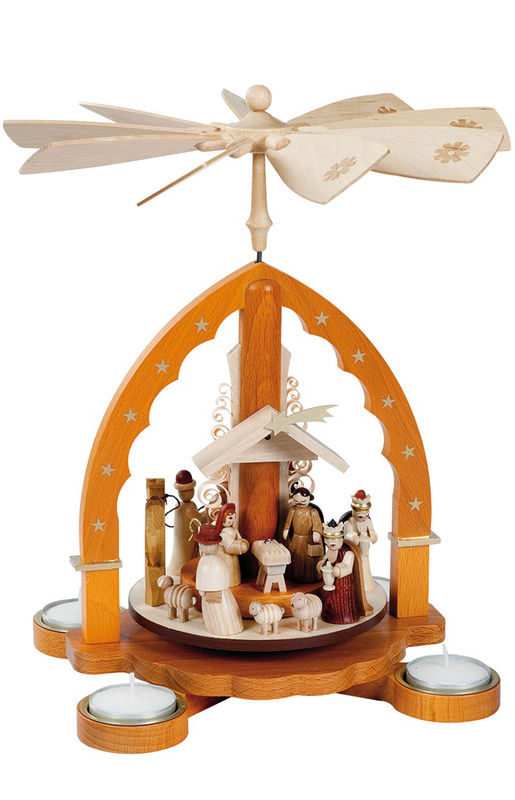 16093 - Pyramid - 10.5H x 9.25"W x 9.25"D"
16093 - Richard Glaesser Pyramid - Nativity Scene - 10.5H x 9.25"W x 9.25""
Richard Glaesser natural finish pyramid - a natural wood color nativity scene rotates using heat generated by the tea candles. made in Germany. Uses Tea Candles #30-3813 or 12-3815-P.